A young individual of the same species as the famous ‘Lucy’ has just been unveiled.1 Found in Dikika, Ethiopia, this specimen is remarkably well preserved. It is of a young female, probably about three years old. The ‘age’ is supposed to be 3.3 million years. It has taken five years so far to carefully remove much of the skeleton from the sandstone. The job is not complete; there may be years more work to confirm exactly what the foot bones looked like, for instance. 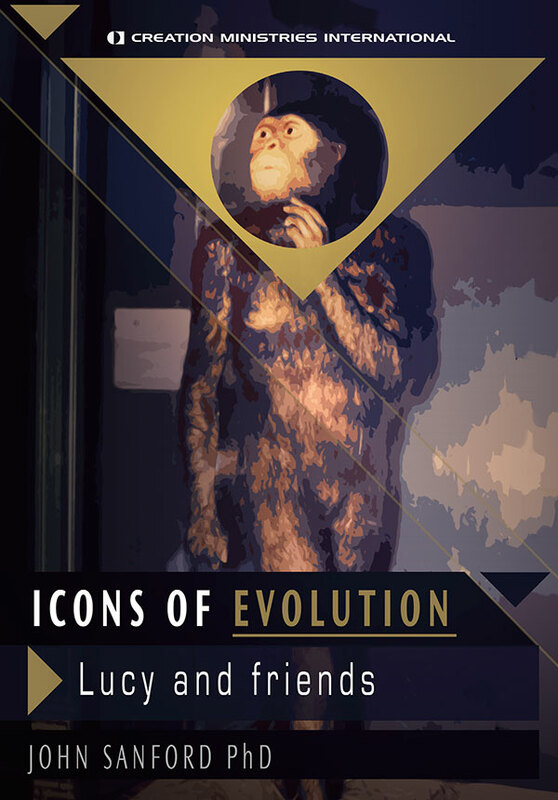 There was much fuss when ‘Lucy’ (later named Australopithecus afarensis) was discovered. Here at last, evolutionists seemed to have a wonderful ‘ancestor candidate’—one which supposedly walked upright, and had a near-perfect mix of ape and human characteristics. What has been revealed seems to hammer home the nails in the coffin [of the idea of human ancestry]. Some might have tried to maintain the excitement, based on the evidence that some australopithecines must have had the capacity for at least rudimentary speech. This evidence was that the inside of their skulls had impressions of the pattern on the brain surface, which showed that they had the same sorts of patterns as we do in the areas of our brain used for language. 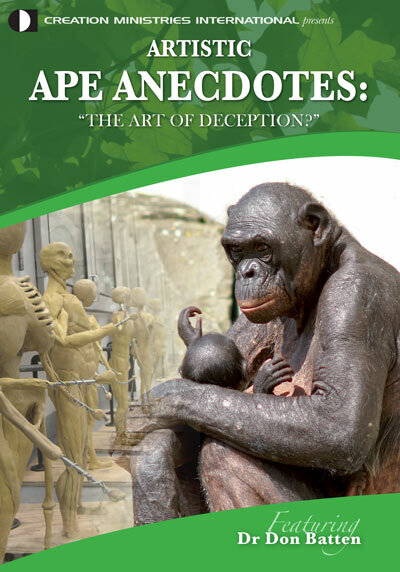 But that evidence, too, took a nose-dive when it was shown that the same patterns are there in some living apes, too, but are used only for non-linguistic purposes (see also Mind by design: interview with neuroscientist and part-time ‘ape-man’ researcher Peter Line and Monkeying around with the origins of language). Of course, while this evidence was accumulating, countless evolutionary pictures and displays showing ‘Lucy’ with what were drawn to be ‘human-ape’ features (e.g. human-looking hands and feet) were piling up, too. Though contradicted by the evidence, it was too hard, it seemed, to modify all those displays. So this discovery of an even better preserved3 specimen of Lucy’s kin (it is so similar, that it is not just put in the same genus, but the same species) is something that would make an informed creationist’s ears prick up even before knowing the details. And sure enough, what has been revealed seems to hammer home the nails in the coffin even deeper, if anything. Adjusted for body size, the brain was not significantly larger than an ape’s. A complete hyoid bone (associated with the larynx) was found which was utterly chimplike. No evidence there of any speech capacity, as some had hoped. The one complete fingerbone is curved, like that of a chimp. Curved fingers are designed for grasping in the trees. The shoulderblade is gorilla-like—designed for tree-climbing and knucklewalking, not upright gait. The organ of balance characteristics in the skull confirm that its locomotion was, like a chimp’s, not habitually upright. To the author of the Nature commentary, looking at the ‘Lucy child’ through an evolutionary ‘lens’, this is because it is ‘primitive’, i.e. it hasn’t evolved far enough yet. The reason why it has all those anatomical features associated with non-human locomotion is, quite simply, that it was apelike; apes have non-human locomotion, and no apes are habitual upright walkers. Hopefully, as the remaining anatomical features of the ‘post-cranial skeleton’ are teased painstakingly out of the rock, we will get even more detailed evidence of what afarensis, and australopithecines in general, looked like. It is highly likely that it will further strengthen the already overwhelming case that the australopithecines were not man’s ancestor. Even some evolutionists agree, incidentally. The problem for the others, one that is probably making it hard for them to let go, is that there is no other candidate in the wings. If history is any guide, that will not last long. Given a combination of often fragmentary evidence, human desire for glory and the powerful need to fill this evolutionary vacuum, another decades-long round of speculation about a totally new group of creatures could well arise, and mislead millions. At least, that is, before it, too, gives way to the weight of evidence. 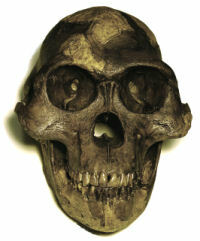 Zeresenay Alemseged, Fred Spoor, William H. Kimbel, René Bobe, Denis Geraads, Denné Reed and Jonathan G. Wynn, A juvenile early hominin skeleton from Dikika, Ethiopia, Nature 443(7109):296–301, 21 September 2006. Return to text. Fred Spoor, Bernard Wood, and F. Zonneveld, Implications of early hominid morphology for evolution of human bipedal locomotion, Nature 369(6482):645–648, 1994. Return to text. Incidentally, in spite of the fact that evolutionists affirm that the high preservation is evidence of rapid burial, most likely in a flood, we would think that this was almost certainly a post-Flood event. I.e. a local flood, not the worldwide Flood of Noah. Return to text. Bernard Wood (News and Views) ‘Palaeoanthropology: A precious little bundle’ Nature 443(7109):278–281, 21 September 2006. Return to text. Of course; this is because all of those in that genus (e.g. erectus, neanderthalensis) are, quite simply, people—descendants of Adam. And even some evolutionists have argued that they should be reassigned to the same species name as ourselves. Return to text. Bernard Wood and M. Collard, The human genus, Science 284(5411):65–71, 1999. Return to text. C.E. Oxnard, Nature 258:389–395, 1975. Return to text. In all of this, it should not be assumed that if these creatures had turned out to be bipedal, that would have proved that they were humanity’s ancestors. God might have created bipedal creatures that are now extinct. But the point is to show how incredibly weak even this ‘showcase’ example, of which bipedalism was the highlight, is for evolutionists. Return to text.